Dr. Geeta K. Swamy is associate professor in the Department of Obstetrics & Gynecology (ObGyn), Division of Maternal-Fetal Medicine at Duke University and serves as director for Obstetrics Clinical Research. She completed her bachelor's of science in Biostatistics and Doctor of Medicine at UNC-Chapel Hill, followed by ObGyn residency at the University of Pittsburgh, Magee-Womens Hospital in 2001. She completed her fellowship in Maternal-Fetal Medicine at Duke University where she won the Distinguished Faculty Fellow’s Award. 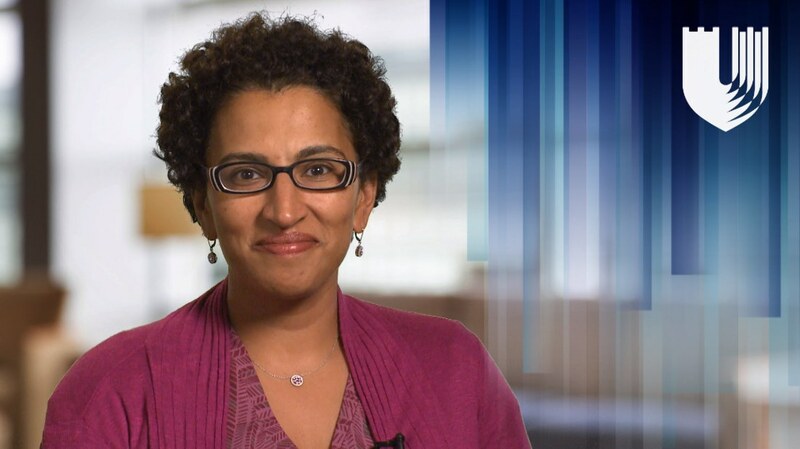 In 2004, she then joined Duke ObGyn as an Assistant Professor and became an Associate Professor in 2012. She has received numerous awards for her research efforts including the National Institutes of Health (NIH) Young Investigator Award for Perinatal Research in 2008. In 2010, she received a special recognition from the NIH National Institute of Allergy and Infectious Diseases (NIAID) for her research work during the H1N1 influenza pandemic. Dr. Swamy has extensive experience conducting both epidemiologic and clinical trials involving pregnant women and has received numerous grants covering federal, foundation, and industry-sponsored investigations. In April 2011, she was selected to serve as the Principal Investigator for Duke to serve as a clinical site in the Eunice Kennedy Shriver National Institute of Child Health and Human Development (NICHD) Maternal Fetal Medicine Units Research Network, which is focused on clinical trials addressing common, yet understudied, obstetric problems. She has a particular interest in maternal immunization during pregnancy and the postpartum period and has led several trials involving influenza, Tdap, GBS, and RSV vaccines during pregnancy. She is the co-principal investigator for Duke’s NIAID-funded Vaccine Treatment & Evaluation Unit and the CDC-funded Clinical Immunization Safety Assessment project. She has served on numerous advisory boards involving the conduct and ethics of research in pregnant women and other vulnerable populations and serves as the Lead Chair for the Duke University Health System’s Institutional Review Board. She was recently appointed as the Associate Dean for Regulatory Oversight & Research Initiatives in the Duke School of Medicine and will be leading new initiatives in eConsent and Biobanking.